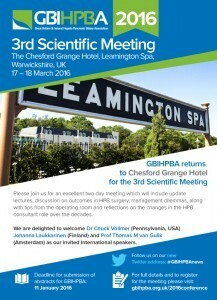 The 4th GBIHPBA Scientific Meeting took place at Chesford Grange Hotel, Leamington Spa, Warwickshire in March. 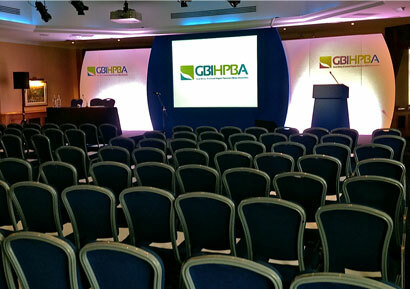 The inaugural GBIHPBA was held at the Belfry, Coventry, on September 20 – 21, 2012. All of the specialist HPB units were represented and we were also happy to welcome guests from Norway. 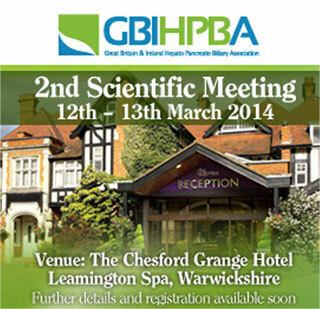 The meeting was opened by Mr Giles Toogood, chairman of GBIHPBA. The Belfry provided a wonderful setting for lectures, training and networking. 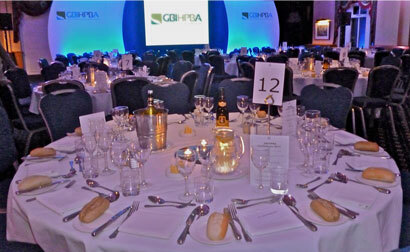 We enjoyed a Gala Dinner on the Thursday night in the Wishaw Suite – more opportunities for networking and many delegates also took part in a successful golf tournament! Thanks go our industry sponsors who provided a useful trade exhibition alongside the conference. The organisers were very grateful to all those who participated, particularly the international guest speakers, Professor Murray Brennan and Professor Jonathan Fawcett. Symposiums at the meeting included Management dilemmas, Tips in the operating room, The management of post-operative complications, Future careers in HPB and Transplantation surgery and evidence-based practice. Two MDT sessions were held on the liver and the pancreas and there were three update lectures on Colorectal liver metastases (Mr Merv Rees), Gallbladder cancer (Professor Derek Manas) and Cystic tumours of the pancreas (Professor Murray Brennan). Other discussions were held around the issue of whether GBIHPBA should become more of a multi-disciplinary organisation and offer membership to colleagues from other specialties.